Al Ain, UAE: Danat Al Ain Resort, the jewel of the Garden City of Al Ain, is pleased to announce it has won the award for the UAE’s Best Villa Resort Hotel at this year’s Haute Grandeur Global Hotel Awards Ceremony, a prestigious globally trusted Awards initiative building its reputation as the world’s leading awards initiative by rewarding outstanding hotel experiences. 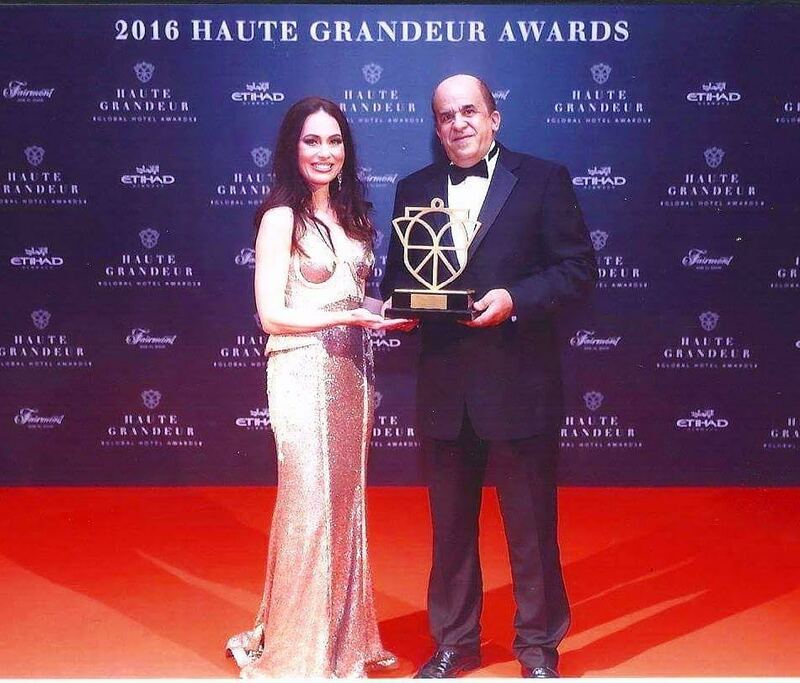 The Haute Grandeur Global Hotel Awards are given to budget, luxury and premium hotel brands that have set unsurpassed excellence. The Awards is a method of ranking and assisting hotels and is regarded as the pinnacle of achievement for hotels globally. Only the best companies and hotel brands which meet the requirements of sophisticated and demanding guests become the nominees and winners of the excellence award. The Award comprises 90 hotel categories over 172 countries. Receiving the award is considered a major achievement because the results are based on guests’ feedback rather than votes by a panel of judges. This means that guests who are voting for the property have experienced the services offered by the hotel making the feedback fair and transparent. Situated at the heart of Al Ain, Danat Al Ain Resort is the hub of premier accommodations and excellent service. The resort features 216 luxurious accommodations ranging from standard and deluxe rooms, executive suites and villas. All rooms have a private balcony with views of the garden, swimming pools or Jebel Hafeet Mountain. The lavish resort boasts three temperature-controlled outdoor pool, spa, two state-of-the-art fitness centres, sport facilities and kids’ playground. Its extensive facilities for conferences, meeting and special events are perfect for any occasion. Danat Al Ain Resort has eight restaurants and bars to suit every guest’s appetite, from morning coffee and pastries to hearty lunches, tasty afternoon snacks, elegant dinners and trendy clubs with live entertainment and DJ. Danat Al Ain Resort, managed by Danat Hotels & Resorts, a division of National Corporation for Tourism & Hotels is located in Al Ain, the famous ‘Garden City of the Gulf’, a haven of peace and tranquility. The resort is a 75-minute drive from Dubai and 90 minutes drive from Abu Dhabi but a short five-minute drive from Al Ain Centre. The 5-star property features 216 rooms and suites with balconies overlooking the lush green gardens or the Jebel Hafeet Mountain. The spacious suites are elegantly furnished with satellite TVs, high speed internet access, 24-hour in-room dining and mini bar. There are 22 Mediterranean style villas, ranging from one-bedroom apartments to 2-bedroom detached villas. Danat Al Ain Resort encompasses a choice of eight bars and restaurants ranging from contemporary Italian to fresh and modern and Indian cuisines namely Arabesque, Luce, Tanjore, Horse & Jockey Pub, Tea Lounge, Oasis Café, Oasis Pool Bar and Shooters. For meetings and conferences, the ballroom can seat up to 1000 guests while the other meeting rooms can accommodate smaller groups. For complete well being, Danat Al Ain Resort has three swimming pools, two gymnasiums, Jacuzzi, steam room and sauna, squash and tennis courts, Spa and outdoor play area. Next articlePet show at Al Hamra – you’d be barking to miss it!